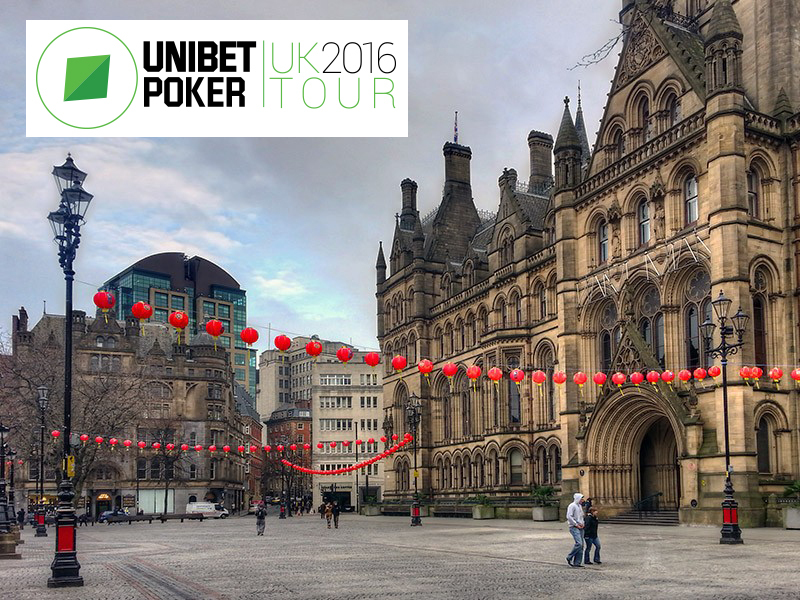 The final event of the inaugural season of the Unibet UK Poker Tour takes place at the Manchester235 casino from December 9-11. MainEventTravel has some great hotel options for your visit to the event including the Innside by Melia, Britannia Manchester and Macdonald Manchester. The Unibet UK Poker Tour Main Event has a £220 buy-in with £40,000 guaranteed prize pool. Players will kick off with 25,000 in chips with blinds up every 40 minutes. This is the fifth event of the season, with the first four being held in Brighton (twice), Glasgow and Nottingham. With high attendance recorded at all events so far, expectations are high for the Manchester season finale. The last event – held at the Alea Glasgow Casino in October - attracted 219 entries and was won by Scotland’s David Mills for a career-best cash of £11,300. There were 23 players in the money, divving up a guarantee-busting £43,800 prize pool. Each stop of the tour has featured a £220 buy-in, £40,000 guaranteed Main Event, plus a full side event schedule. The winner of each Main Event also wins a custom trophy and a €2,000 Unibet Open package. A €2,000 Unibet Open package also goes the online qualifier who lasts longest in each event.